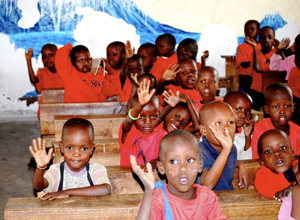 One of our own recently returned from her trip to Tanzania. She was kind enough to share some of her pictures and experiences with us! This is How We Travel. 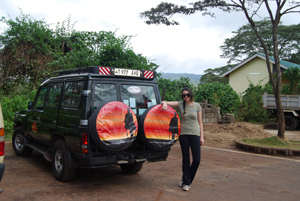 I just had the incredible opportunity to embark on a nine day Tanzania tour through Tanzania’s Northern Circuit. This was my first time traveling to Africa, and it couldn’t have been a better introduction to this incredible continent. The safari not only highlighted the incredible wildebeest migration and big game, but also allowed us to interact with the local tribes, and gain a deeper understanding into their daily lives and culture. Day 1: After a long 24 hours of traveling from California, we arrived at Kilimanjaro Airport. Stepping off the plane onto the open airstrip and taking in our first breath of Africa was truly an experience in and of itself. On arrival we were met by the smiling face of our guide Francis. We loaded up the iconic Toyota Land Cruiser and were on our way to Arusha. Checking in at the charming Ahadi lodge around 11:30PM, exhausted and hungry, the kind and attentive staff were more than accommodating, and provided us with a hot and delicious three course meal. With our tummies full we went to sleep with dreams of Africa. Day 2: The following day was comprised of rest, relaxation and shopping. Our guide Francis picked us up for an overview of Arusha town, and took us to some of the best craft markets. Haggling and laughing with the local vendors, we perused the unique items and artwork from one craft stall to the next. We returned to the hotel for our safari briefing, learning what to expect for the following days to come. The remainder of the day was devoted to rest and relaxation. Day 3: Our first official day of safari began with a visit to Esilalei Maasai Village. Here we had the chance to visit the primary school that Global Basecamps has had a hand in building. In anticipation of our visit we checked out Pack For A Purpose to see what we could contribute to the school. We ended up bringing an entire suitcase full of school supplies, everything from pencils and workbooks, to flashcards and soccer balls. The reaction on the children’s faces when we revealed what we had brought them was priceless. 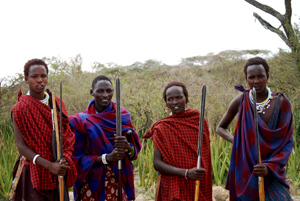 After the class sang us their “ABC’s,” we met with our Maasai guide and followed him through the bush to his boma. 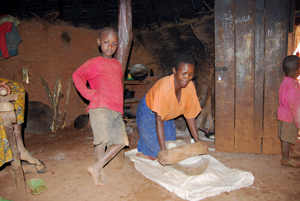 Here, we met his mother and caught a glimpse of his daily life. After chatting about the Maasai culture, we were introduced to the beautiful women of the village. Adorned with incredible hand beaded jewelry and bright colored clothing, they performed traditional dances and songs. Afterwards we had the chance to purchase some of their craftwork, all proceeds of which were shared among the community and the school. We said goodbye to the Maasai and continued our journey on to Lake Manyara National Park. Before entering the park we enjoyed a picnic lunch in a glade surrounded by tall shady trees and playful monkeys eyeing our leftovers. 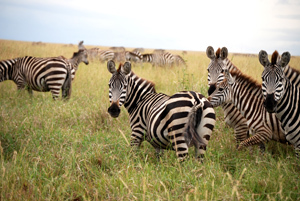 Lake Manyara National Park features an unexpectedly striking, yet peaceful setting. As we began our game drive, we were suddenly surrounded by baboons. After seeing giraffes, hippos, water buffaloes, monkeys, and zebras we made our way to Endoro Lodge, for a delicious dinner and full nights rest. Day 4: Today our guide dropped us off in Karatu, here we met with Paolo, our guide and member of the Iraqw tribe. We strolled through the farms and villages, stopping at the homes of a few locals along the way. With Paolo as our translator we were able to communicate with our new friends, share stories and learn about the Iraqw culture and customs. After enjoying a picnic lunch with Paolo we continued on to his home, where we met his wife and seven children. Here we laughed and shared stories over ugali (a traditional meal of corn and beans) and enjoyed a surprise family performance including singing and dancing. Day 5: On to iconic Serengeti! The drive itself was incredible, winding through the lush green Ngorongoro crater forest, stopping along the way at a viewpoint for an incredible panoramic view of the crater. We continued, passing giraffes grazing the acacia trees and the Maasai tending to their cattle along the way. This part of the journey truly evoked the feeling that is unfiltered Africa! Leaving the forest behind, we entered the endless plains of the Serengeti. As we cruised along we saw herds of wildebeest, zebra, along with their babies! Days 6 -7: We enjoyed two full days of game driving in the central region of Serengeti. The experience was absolutely life changing. In one day alone we saw a total of fifteen (15!) lions! We also managed to spot a leopard sleeping in a tree, which was a real treat! We saw a vast range of wildlife, from hippos crossing the road, to crocodiles sunning themselves on the beach, to a family of elephants marching along the plain. As far as wildlife viewing is concerned the Serengeti took the cake! Day 8: As we ventured to the southern region of the Serengeti on our way to the Ngorongoro Crater, we were witness to the great wildebeest migration. 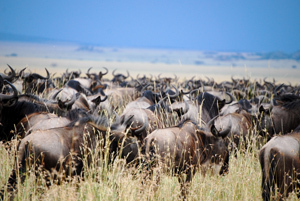 We were surrounded on all sides by thousands of wildebeest; the sight was jaw-dropping. Never in my life had I seen anything of that magnitude! Day 9: On our final day of safari we made an early morning descent into the Ngorongoro Crater floor. 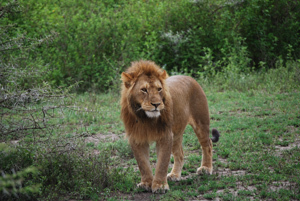 As we entered the crater we were met by a large male lion crossing our path. We continued on the game drive, passing lakes dotted pink with flamingoes, more giraffes and elephants, and a few more prides of lions. We stopped for a lovely picnic lunch next to a lake, filled with hippos! As we were making our way back to ascend, we spotted the last member of the “Big 5,” the elusive Rhino! The perfect ending to our magical Tanzania Safari.